Edible Elswick is an exciting community project that’s been thriving since 2010. Based in the heart of the Elswick Ward, we’ve been working with lots of passionate residents who want to make a real difference to the places they work, play and live. 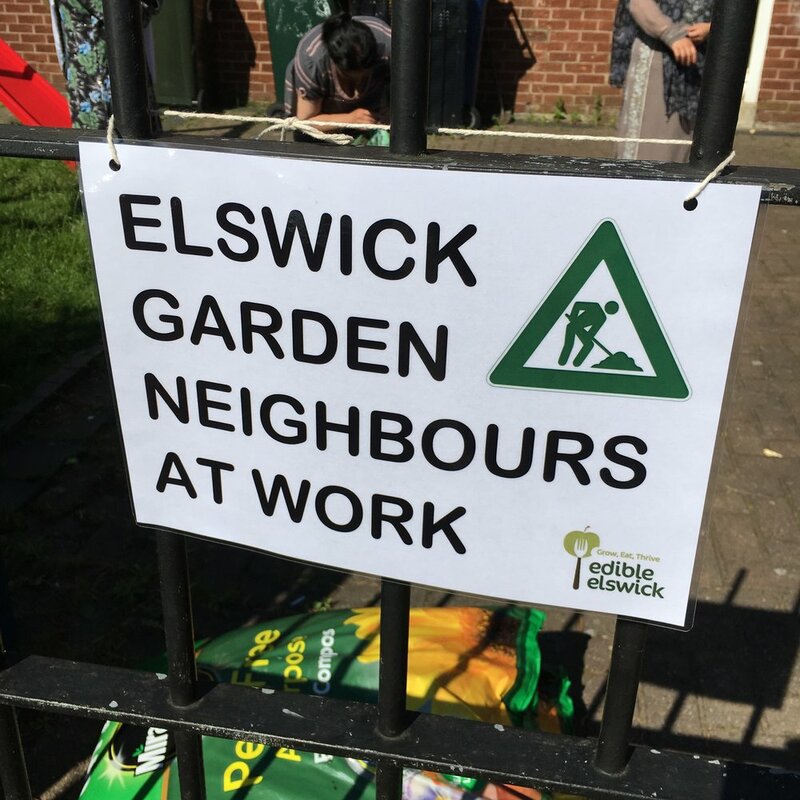 Edible Elswick is well known and well respected by the community. This is because it tries to help increase pride in the local area, help communities get along better and support healthy lifestyles. We do this by providing opportunities for people living in Elswick to grow their own food and come together to learn, share and celebrate. You can come along to the regular estate events we run across Elswick, including local estates Jubilee, Bentinck, St. Paul’s, Hawthorn, Rye Hill, Mather Waverly and Cruddas Park. What Does Edible Elswick Do In The Community? Edible Elswick is about bringing you together with your neighbours, getting to helping each other and getting to know one another better. With the Elswick Garden Neighbours Project, as a resident you can sign up to receive a free garden makeover, carried out with the help of your neighbours and our Community Gardeners. Then, in exchange, those lucky residents give back their time by helping their neighbours with their gardens. It’s great to see the difference already being made and receiving wonderful feedback from residents! Have you ever wanted to do more with those unloved green spaces and planters where you live? Working with Your Homes Newcastle, the local social housing provider, we can help you to adopt planters and other green space on your estate. We can also help you with digging, planting, weeding, as well as providing compost, plants, seeds or just advice – all free of charge. Our big family fun events in Elswick Park celebrate the work done on the local estates throughout the year. We invite everyone to enjoy the beautiful surroundings of Elswick Park, where you can meet many of our community partners including Sure Start, HealthWORKS Newcastle, Newcastle University and Hat-Trick to name a few, who set up stalls proving information, arts and crafts activities, games and walks round the park for all the family. What’s more, there’s also music, face-painting for the children, free healthy food with recipes and seasonal veg packs to take home and try. It’s like a mini festival in your local park! At these popular events, you can join in and help out with litter picking and tidying up your streets, as well as having fun potting plants to take home and look after. If you come along you can also enjoy healthy, delicious food made at West End Women and Girls Centre! Who better to tell you what residents think about Edible Elswick than the residents themselves!